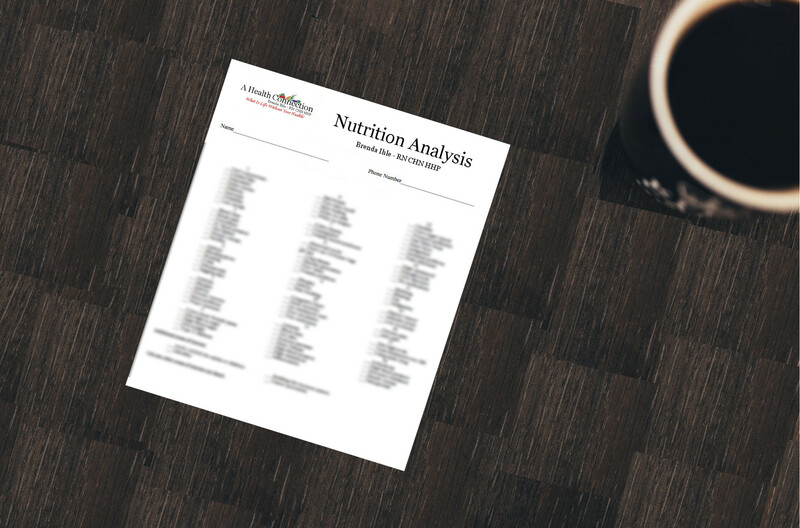 What is a nutritional analysis and how does it differ from the examination you receive in your doctor’s office? The nutritional analysis is based on nutrition and any deficiencies that may be revealed. It shows a ‘picture’ of the client and leads to a plan or pathway to wholeness for the client. An examination in your doctor’s office usually results in the treatment of your symptoms rather than nutrition deficiencies. Then, the symptoms are treated with medication or testing or in some cases, surgery, rather than correcting the deficiency that caused the symptoms and diagnosis. The Nutritional Analysis is a confidential event between me and the client. Since my background is nursing/medical as well as holistic nutrition, the client gets the best of both worlds. Are you looking to achieve a new level of health? Are you looking to sustain your current healthy lifestyle? Let me sit down with you and give you my support!